As the new season begins I like to give my bedroom a little update and brighten it up for the summer. It is a very simple process but it is quite effective. It is refreshing and as I always say it is good to change things up from time to time. I’ve officially decided that I prefer fresh plants for my bedroom rather than artificial ones, they add colour my bedroom and make it look so much more inviting and what screams summer more than plants? 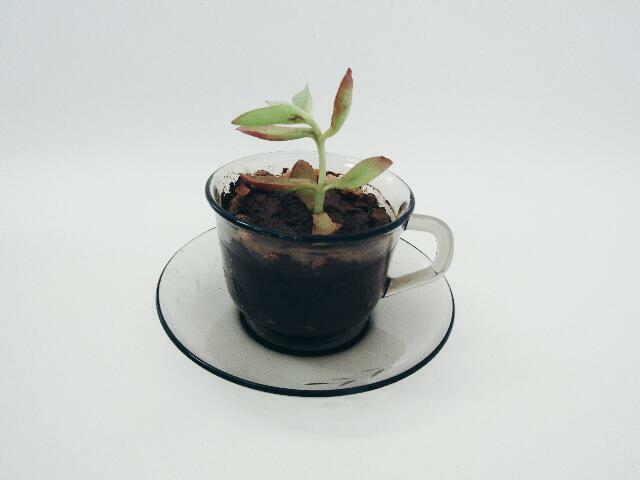 After a while of not posting DIYs I finally stirred up a storm in a teacup well, it’s just a plant in a teacup. It is a really adorable DIY that was inspired by a picture I found on Tumblr. It’s really easy to make and it is way cooler than a plain flower pot. All you need is a teacup and a pot plant. Unfortunately the plant I purchased as too big so I went digging for a plant in our garden but I am quite happy with the result. All you need to do is scoop out your plant from the pot and pop it into the cup. Add a water little so it fit properly. The flowers have bloomed, the days are longer and everything is just so much brighter I cannot let bedroom miss out on any of this. As I mentioned in my Roomispiration post I’m struggling to decide on whether I want a bright bohemian room or if a simple minimalistic one is more my style. I have come up with a bit of a compromise, I made a little colour spot, if I can name it that, in my room. It just a little corner where I can put up whatever I want and I’m loving it. It adds a focal point to my room and I think contrast between the white wall and the bright colours make it so beautiful. Now for a different kind of lightening up. 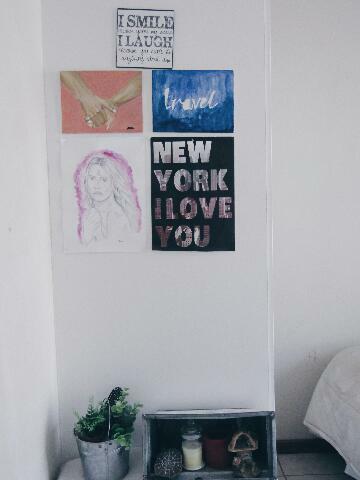 I have the warmest coziest blanket which you may have spotted in my ‘5 Simple Ways To Make Your Room Look Tumblr’ post. In winter I could stay in bed for hours because it feels as though I am lying on a cloud. However, as the temperatures rise in summer we go our separate ways but it seems as though I need not be disappointed. I recently discovered the website Parachute Home, it is an online bedding brand with the goal to enhance your sleeping experience at an affordable price. Their bedding comes in a wide variety of styles, colors and fabrics. The best part is that they are a direct-to-consumer brand which means that they deliver the items straight to your door. They also give back by donating a bed net for every Venice set sold, this helps reduce the rates of malaria in high coverage areas. It looks like I found myself a new best friend. 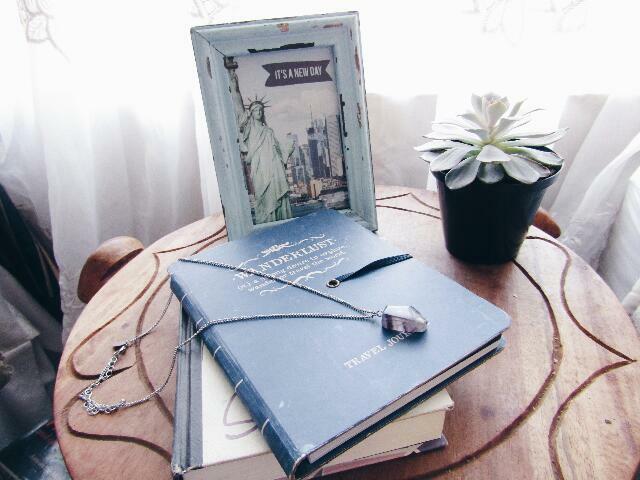 Last but not least is changing things up on my bedside table, it is by far the easiest way to lighten up the room. I like to swap around the items and play around with the colours to create something that is aesthetically pleasing. Plants make everything better! Hopefully you will have betterlluck with them in the near future, it also took me some time!